They don’t call Yorkshire “God’s Own County” for nothing – it’s one seriously beautiful county, and as it’s Yorkshire Day, there’s no better time to be inspired by the breath-taking scenery on offer. The beautiful white cliffs of Flamborough are perfect for an invigorating coastal walk, with unique views that are sure to take your breath away. 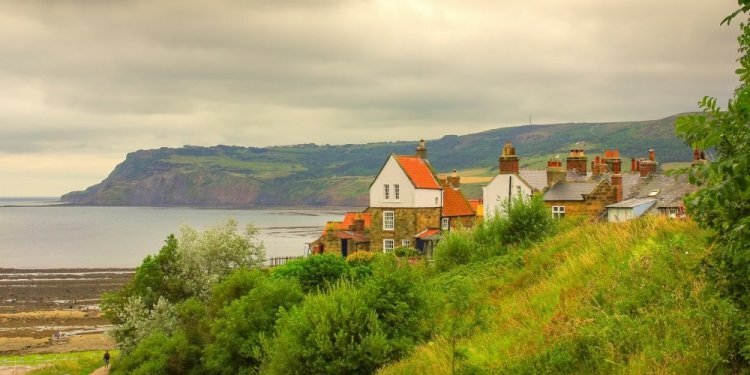 Whether you’re bird-watching, hiking or just taking in the scenery, this is the perfect spot to appreciate the wild Yorkshire coastline. The curved cliff which makes up Malham Cove is an impressive sight, with the 230ft rock face being a favourite haunt of rock-climbers and ramblers alike. At the top, you’ll find the unique rock formation of the limestone pavements which draw plenty of crowds and were even featured in Harry Potter and the Deathly Hallows: Part 1. Whether you’re admiring Roseberry Topping from afar or tackling the short but steep walk up to the top, there’s no denying the unrivalled natural beauty it offers. Steeped in history, it’s been a well-known landmark throughout the ages – it was actually the Vikings that gave the hill its name. The stunning cascade of water at Aysgarth Falls makes for a brilliant spot to take in the county’s charm. A famous visitor spot, the falls are also surrounded by beautiful forest and farmland that offer up a variety of tranquil walks. This imposing cave is one of the most famous in the country, with Fell Beck flowing down the 100m drop into the chamber. To see this for yourself, you’ll need to take a trip with experienced cavers – however the larger cave system of Ingleborough Caves can be accessed easily with daily tours. It’s not just beautiful views that Ilkley Moor is famous for – you’ll also find mesmerising carved stones and rocks that are said to date back to the Bronze Age. These intriguing carvings are dotted across the moor, with over 300 currently recorded, so you’ll no doubt spot some as you take in the scenery. The Ingleton Waterfalls walk in North Yorkshire boasts a number of incredible waterfalls and has been hugely popular since 1885, when it was first opened. The circular trail begins and ends in the village of Ingleton and along the route you’re treated to not just one, but seven spectacular waterfalls.